“Organized religion”? What is its meaning? While I usually prefer to keep away from the vitriolic discussion which is the so-called “science and religion debate,” Rama Singh’s Hamilton Spectator commentary of July 23 demands a response. Singh’s piece continues a disappointing series of opinion pieces and letters published over several months in The Spectator. The piece was the latest salvo on the anti-religious side of the discussion, and was evidently meant to justify the claims of the “New Atheists,” like Richard Dawkins, that organized religion is a social evil which should be eradicated for the sake of the greater good. There is plenty to be concerned about in Singh’s piece. Not least worrisome are some of the claims made without evidence. Three stand out. First is that “most scientists agree” with Dawkins’ “crusade” (an unfortunate word) against organized religion, for which claim Singh provides no polling data or other evidence. Second is the claim that religion has been the cause of more violent deaths throughout human history than other sources. This common trope is highly suspect to say the least, and it would have been nice to see some data on it just once. Third, Singh claims that organized religion is always something driven by fear, and for this reason it needs to be eliminated to make room for real human exploration, which exploration he says would include personal and individual religiosity. Frankly, I am becoming fed up with the kind of impoverished discussion on which this third claim appears to be based, and which the Spectator has been allowing to continue on its op-ed pages. Singh and others apparently assume that “organized religion” is an easily identified social phenomenon with negative consequences, whose practitioners are, as Singh repeatedly insinuates, fundamentally irrational. Reality, however, is vastly more complex. First, the concept of “religion” is profoundly difficult to define. Scholars have puzzled for decades over what, precisely, is held in common by groups as diverse as Pure Land Buddhists, Roman Catholics, African animists and Hare Krishnas. Second, a meaningful distinction between religiosity and rationality is impossible to make. One need only spend a little time with the thought of Plato, Eriugena or Immanuel Kant to see that no dichotomy of religiosity and reason needs exist, and that religious people are in general perfectly rational within the bounds of their basic assumptions about the nature of existence. Third, and most important here, “organized religion” is nothing close to monolithic. Religious organization takes countless forms, from visits to a hermit, to impromptu gatherings at a temple, to the ancient Caliphate, to alien abduction cults. From the writings of an intellectual giant like Karl Barth, to the animal sacrifices of Santeria, to the meditations of the lamas of Tibet, to the violence of the 9/11 terrorists — all this and much more is organized religion. Organized religion is not a single social phenomenon. Instead, it is a broad and ill-defined category which we use to discuss a massive array of human behaviours, institutions and ideas. The recent debate in The Spectator is frustrating in its failure to recognize this. The conversation relies on each side maintaining a short and selective memory, and painting the category of organized religion in one broad way or another, either positive or negative, violent or peaceful. Yet, organized religion is not something inherently evil, fearful, irrational and violent, as Martin Luther King proves so well. No more is it something inherently good, welcoming, rational and peaceful, as the late Shinto Emperor cult demonstrates. There are millions of people engaged in forms of organized religion because of the positive impact on their lives, or the profundity and truth of certain religious ideas. There are plenty more who are trapped in oppressive organizations, fed on lies, and/or pushed into violence by their religious leaders. Organized religion is the sum of billions of people engaged in millions of practices on the basis of thousands of beliefs. It is sometimes one thing and sometimes another. Is that really so hard to accept? 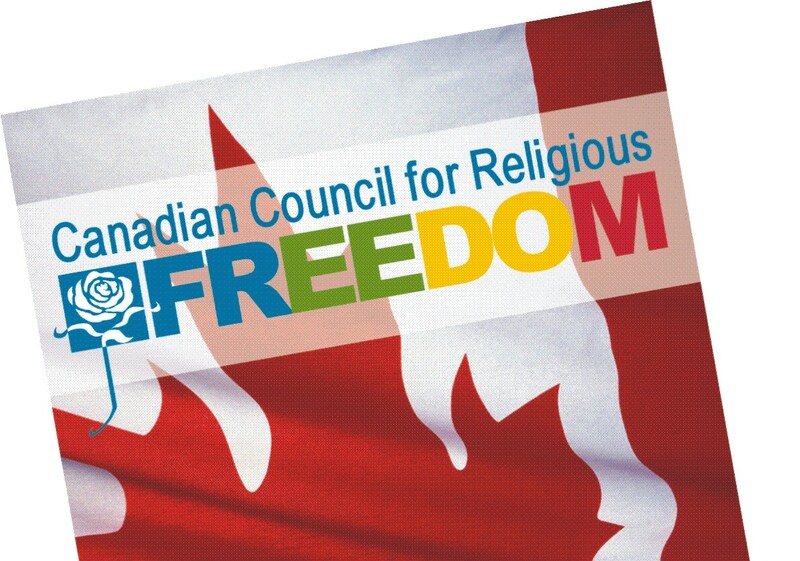 The idea of eradicating organized religion, by whatever means, because it is irrational and based on fear ought to be frightening to all Canadians, religious or otherwise. The same discourse of social cleansing was and still is the key justification for the murders of tens of millions of religious people in the 20th century whose supposedly irrational beliefs were seen by Communist and other authorities to stand in the way of glorious human progress. Singh is not advocating genocide, but his words ring with a chilling familiarity, and it is impossible to imagine organized religion disappearing any other way. More importantly, though, the real tolerance he dreams of cannot be pursued by railing against something as diffuse as “organized religion.” It is not possible to free the world from a phenomenon which cannot even be effectively defined — a phenomenon as ancient as humanity itself, and as diverse as the world’s population is large. No, tolerance occurs when people accept human complexity and diversity as real and still agree to live with it. Any discourse which relies on making a caricature of “organized religion,” or any similar category, whether to lionize or demean it, serves only to fuel fear and misunderstanding, precisely the reactions which we have seen in The Spectator of late. – Daniel G. Opperwall holds a PhD in Religious Studies from McMaster University. He lives in Hamilton, Ontario, Canada.